This amazingly built all-metal pedal with highly responsive controls provides the widest variety of vintage tremolo guitar sounds available. 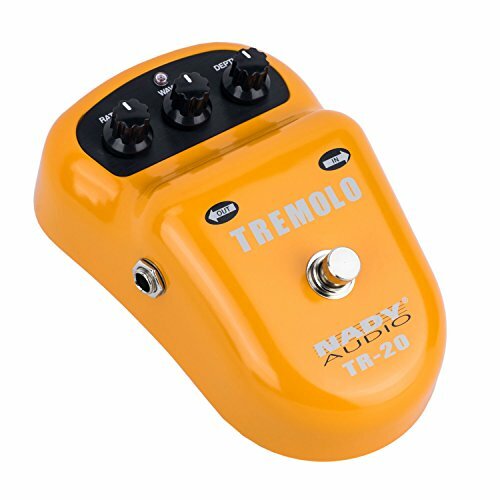 The wave knob offers an extensive range of waveform tremolo variations while the rate knob controls the tremolo speed. The third knob (depth) allows for precise adjustment of the effect’s intensity. A must have for pedal enthusiasts. If you have any questions about this product by Nady, contact us by completing and submitting the form below. If you are looking for a specif part number, please include it with your message.